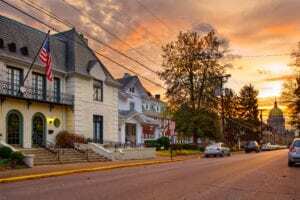 Stewart Bell, PLLC proudly serves the small community of Dunbar, West Virginia, located just 15 minutes from our office location in Charleston. Dedicated to defending personal injury and nursing home abuse victims, our highly-qualified attorneys can help make these stressful situations easier by striving to obtain compensation for the pain you and your family have endured. We’ll diligently handle your case from beginning to end, while keeping our lines of communication open 24/7. When tragedy strikes, call Stewart Bell, PLLC. There is no better solution than speaking with a knowledgeable attorney. Jeff Stewart, the managing partner of Stewart Bell, PLLC, was born and raised in Charleston, West Virginia. His passion for helping people combined with his distinct knowledge of the region and local laws are what make Stewart Bell, PLLC stand out from other firms. With hard work and a proactive approach, Jeff and his team have been helping clients fight for what’s fair since 1980. Our elderly loved ones should never be allowed to suffer at the hands of a nursing home facility. If you have any reason to believe your family member is a victim of elder abuse or neglect, contact an experienced nursing home abuse lawyer at the office of Stewart Bell, PLLC today. Our office is located in the neighboring city of Charleston, but Stewart Bell, PLLC also aggressively pursues nursing home abuse cases in the Dunbar community. If your loved one has been affected by nursing home abuse, you deserve compensation for the emotional and physical damage they have faced. With vast experience in the field, we have filed over 50 nursing home abuse lawsuits and helped restore peace to our West Virginia clients. At Stewart Bell, PLLC, it is our mission to help clients take legal action against the unacceptable nursing home facilities that abuse or neglect their residents. Why should you contact a nursing home abuse lawyer at Stewart Bell, PLLC? Good question. In cases of nursing home abuse, keep the benefits of working with a knowledgeable attorney in mind for the best chances of success and recovery. Our savvy nursing home abuse lawyers can review all the facts of your case and help establish a rock-solid defense on your behalf. Without the help of an attorney who is familiar with the laws around nursing home abuse, you don’t stand as good of a chance at receiving compensation to assist with medical bills or the pain your loved one has experienced. If you have witnessed signs and symptoms of abuse or inadequate methods within a nursing home but choose not to speak out, the abusive or negligent actions will simply continue. By contacting Stewart Bell, PLLC, you can help bring justice to the unethical nursing home facility, and hopefully end their abusive patterns. Discovering your elderly loved one has been mistreated is heartbreaking and infuriating. The compassionate attorneys at Stewart Bell, PLLC understand what you’re going through, because they’ve helped others through similar circumstances. Our team will provide legal representation and be a firm shoulder to lean on in this emotional time. Lastly, the overall health and safety of your loved one is the most important thing at Stewart Bell, PLLC. In addition to helping you gain the compensation you deserve, our trusted lawyers will assist you and your family in finding a nursing home facility that’s known for quality care and is free of any abuse allegations. In many cases, signs of abuse are recognized once it’s too late. Talk with your loved one and visit the facility frequently to ensure they’re getting the proper care they deserve. If you notice negligence or symptoms of abuse, don’t hesitate to call Stewart Bell, PLLC at 877-959-6696. We help protect the rights of our elderly Dunbar citizens. Have you been injured in an accident that was caused by a company or another individual’s disregard for safety? Call the office of Stewart Bell, PLLC to have your case reviewed. Our qualified personal injury attorneys serve injury victims in the Dunbar area and across West Virginia. With over 30 years of experience helping clients obtain compensation after an injury, we have the knowledge to help you through this stressful time. You could be compensated for your losses, such as medical expenses, lost wages, and emotional pain and suffering if your injuries were the result of another’s negligence. Our attorneys have a combination of 120 years of experience, and have recovered millions in verdicts and settlements for West Virginia families. With this extensive experience under our belts, we know how to attack each individual case, depending on its nature. Victims involved in truck accidents, for example, have the opportunity to speak with a dedicated truck accident lawyer that will understand the challenges unique to truck accident cases. To establish a truck driver’s negligence, our competent truck accident lawyers will thoroughly investigate the scene of an accident utilizing accident reconstructionists, highway engineers, and eyewitness testimony. These are just a few of the resources that allow us to build comprehensive cases that will have the best chance of winning maximum compensation for your losses. Stewart Bell’s experience and versatility for personal injury cases will be your advantage. We aggressively protect our clients in tricky settlement negotiations and in the courtroom, so you can rest assured that someone is looking out for your interests while you focus on recovering. What Can Stewart Bell, PLLC Do For You? Stewart Bell, PLLC is first and foremost committed to improving our clients’ lives. When people walk through our door, we understand that they’re in a painful situation and need help. Our personal injury and nursing home abuse lawyers are prepared to evaluate your case and create a strategic approach centered around benefitting you and your family. What can Stewart Bell, PLLC do for you? We can support you every step of the way, providing answers and leadership in this confusing and difficult period. After a tragic accident, you need a strong support system. Our experienced team of West Virginia trial lawyers can be your strength and fight to obtain the compensation you need to get your life back on track. Incidents unfortunately happen every day, but the determined team at Stewart Bell, PLLC is here to right the wrongs of negligent or abusive individuals and companies. Until you receive a successful conclusion to your case, we don’t get paid. Our attorneys work on a contingent-fee basis, with the fee usually being a percentage of the settlement, meaning you won’t ever have to deal with hourly fees. At Stewart Bell, PLLC, our goal is to ensure personal injury and nursing home abuse victims in Dunbar have the strong legal representation you need. Call our office today at 877-959-6696 to speak with a qualified and compassionate attorney. First things first, after you or a loved one’s injury, call our office at 877-959-6696 to get a free case evaluation. A knowledgeable attorney will review the facts surrounding your case to help determine if you need to file a lawsuit. If so, they will file a complaint on your behalf and begin the tedious process of collecting evidence so they can build a strong case that will stand up in trial. You can rest easy knowing that our attorneys are experienced litigators with a goal of winning the maximum compensation owed to you for your losses and suffering. The sooner you contact our office for a free consultation, the sooner we can start preparing your case.